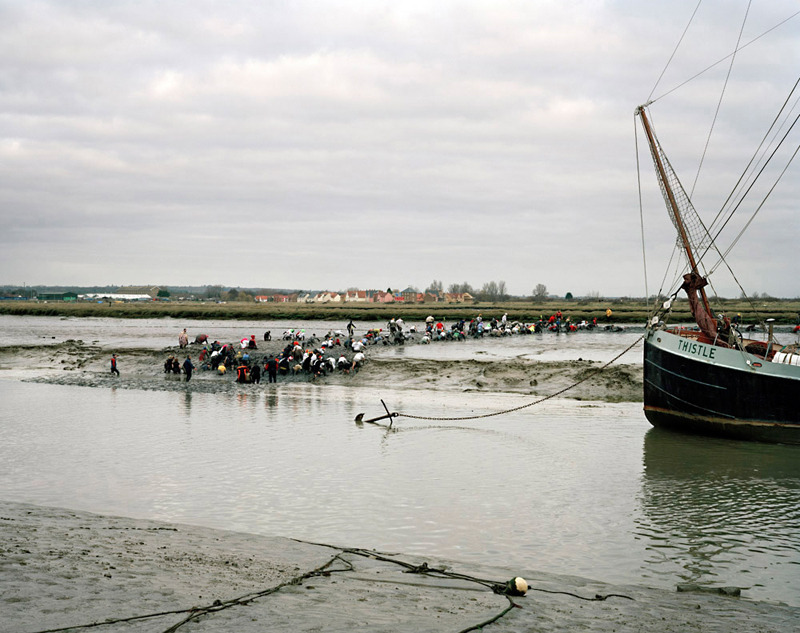 At Maldon, in Essex, they race across the mud of the River Blackwater at low tide. It’s not a medieval tradition. It was started a few years ago, a bet for a pint. High over the South Downs, hang-gliders grant a few hours respite from the 9-5. You can buy Chatsworth brand ice-cream. It would be easy to mistake Simon Roberts’ excellent survey of the English at play for another of those slightly sneery collections made from on high. 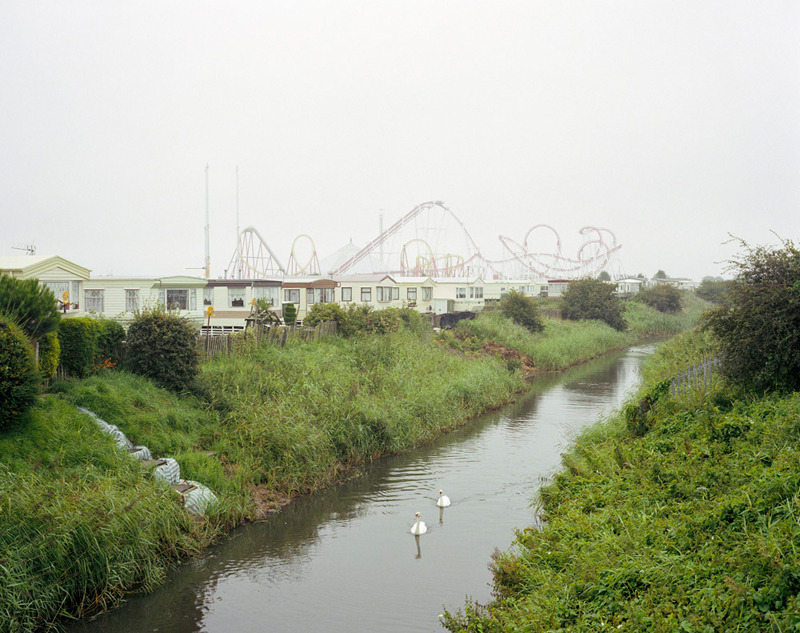 A new show by Anna Fox opened in London recently, showing Butlins as an alien place, very much ‘how the other half live’. Roberts is more complex than that. Apart from anything else, he has a degree in human geography: this is a research project in photographs as well as an exhibition. Roberts made a road trip around Britain looking at leisure in the countryside. It’s an industry that has boomed as more of us have had more time on our hands. His distant models include such photographers as Benjamin Stone, but there is a whole written canon of non-photographic surveys of the English which dates back to Celia Fiennes in which this project takes its place, too. His direct model is probably Paul Graham, whose A1 was among the early surveys of British life to be done in colour. Graham was openly shocked by the direct outcome of specific political decisions. Roberts is much more ambivalent. He sees land use changing (in such things as an inland beach made on a former gravel pit, or a roller coaster rising in lunatic arabesques above flat fens) and he sees the massive dependence on the car to get people out into the country. But he also sees enthusiasm and patience and a deep-respect for tradition. Just as the changing sociology is made of many strands, Roberts’ pictures resist a single reading. We do absurd things. We drive miles to a beauty spot and barely leave the car-park. We even camp within yards of the car. We accumulate mountains of consumer goods to bring us ‘closer’ to nature, from strollers to shove the children around, through carbon-fibre fishing rods to the ubiquitous car itself. On beaches and National Trust sites we crowd close to feeble ‘amenities’. People do things in groups, from bird-watching to rambling. Yet we are also more inclusive than we ever were, more equal. A Moslem couple walk in the wilds beneath Stanage Edge, and it is only prejudice that makes that a surprise. Roberts’ manner is calm. He shows people small in the landscape, clustered into groups rather than isolated as individuals. He likes to shoot from relatively high, so we see patterns. It is partly a show about ritual in the landscape, the strange things we do to feel we belong. It is partly about how the very numbers of us who come to enjoy the land spoil the thing we admire. A strong theme is about movement, but Roberts shrewdly notices how much movement is local. 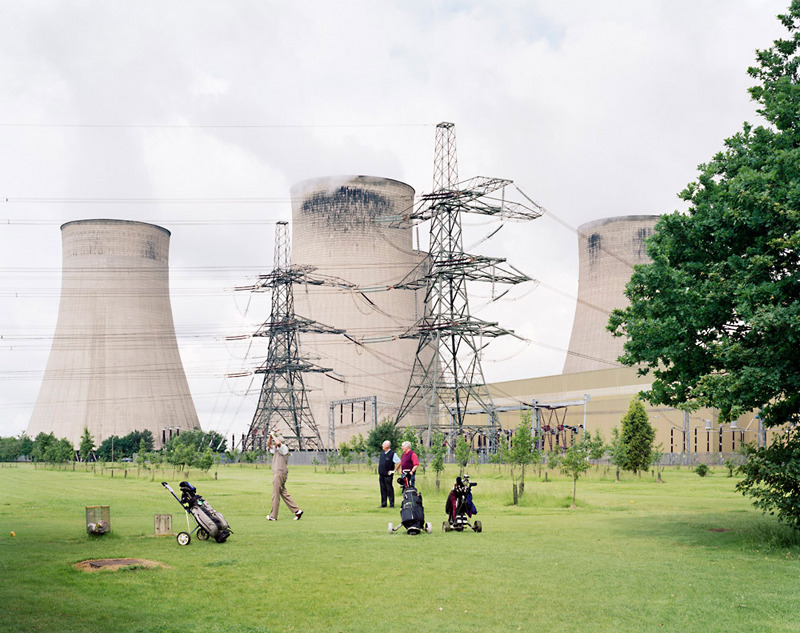 Playing golf still has something pastoral about it, even in the shadow of the very power station which employed you. These elegant pictures invite multiple readings, but they do it with confidence and zest. With flashes of wit, humanity, and abundant respect for his photographic predecessors, Simon Roberts has added a good one to the canon of surveys of the English.